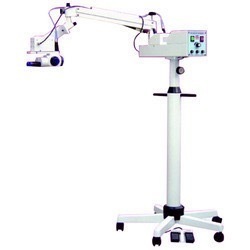 * Through Fiber Optic Light Source 15V/150W twin Halogen Lamps with continous adjustment illumination low and high intensity..
We, Netcare Instruments, established our presence in the year 1993 as manufacturers, suppliers, exporters and wholesalers of a diverse array of Surgical Instruments. Our offered range is inclusive of ENT Instruments, Eye Instruments and Skin & Plastic Surgery Instruments. Owing to our qualitative offerings, we have been able to establish a firm foothold in the industry. Our range is considered immaculate given its outstanding designs, optimal finish, long-term functionality and availability in several specifications. We utilize only high-grade materials and sophisticated technology in the manufacture of our offered products. Since our establishment, we have been keenly focused on the attainment of maximum possible customer satisfaction. For that purpose, we strive to understand the exact requirements of the customers and design our products accordingly. For mutual benefit, we offer favorable business terms and maintain transparency in all our business dealings. Our ethical approach has led us to gain the valuable trust of our revered customers. We export our products in USA,BRASIL,KOREA,UK,RUSSIA,IRAQ, AFGHANISTAN.